I have always loved coffee, so I am so glad that coffee shops have been around forever. From the high end streets of France to your local coffee shop down the road, people love to go out and linger over a fresh cup of coffee or tea in a cute and comfortable setting. Everyone loves partaking in a hot beverage, and with that in mind, it might be time for you to take your java loving ways to the next level… Why not open your own coffee shop? Everyone loves a local cafe to sit and visit with a friend, get some work done or just enjoy people watching. (this is one of my faves)! If that hasn’t already convinced you, here’s a few more reasons why it might just be the perfect career path for you. What you serve, how you serve it, and the uniforms you might use are all up for choosing using your own creative mind. You have so much freedom when you’re doing everything for yourself, and you can offer a lot to people who can’t shop elsewhere. Think of the lactose intolerant people you could offer vegan options to, or the gluten free bread for anyone with celiac disease. Offering variety is amazing for creating good business. This is because being creative allows more and more people to flock to your business. Those people who love creativity and a unique social setting will leave great reviews, and bring their friends whenever they can. Once you have found a good location for your shop you can begin to design to your heart’s content . Also please make sure to do your homework and shop around for the site and location that will suit your unique creative ideas the best. 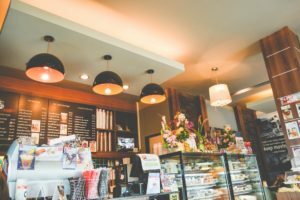 When it comes to table placement, making sure everything your employees will need to create delicious beverages is in a place to make the work flow work well so your customers don’t have to wait too long for their cup of deliciousness. So, make sure to get yourself a cozy location with some help from Smallbusinessloans.co and then design with your employees and customers in mind! If you want your customers to talk to each other, you’ll want to craft an open floor plan. If you want people to focus on those they are with, you can turn off the wifi. On the other hand, if it’s more of an internet cafe, having hotspots and computers at the back of the room means people can grab a spot on a stool and then talk to the people they love via some chat rooms. Either way, you’re going to appeal to a lot of people! If you have social media, as wishpond.com tells you, you have a good customer base to market to immediately. It also allows you to gain some traction amongst other small businesses and the bigger businesses, as you can immediately deal with complaints or compliments from previous customers. Show off what makes you so great with a couple of posts! Opening a coffee shop is easy to do, and is great for extroverts and introverts alike. We had an awesome summer vacation! 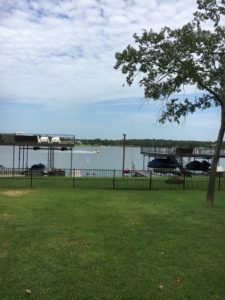 We were able to stay at a beautiful lake house in Dallas Texas that I won in an auction. 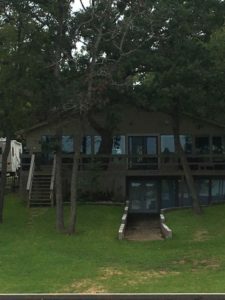 Yep, I won a week at a lake house in an auction. So we packed up the brood, got onto an airplane and made the trip from Virginia to Dallas for our awesome vacation. We arrived in Dallas, rented a car and made the 90 minute drive. We were tired, and hungry and somewhat dazed, but were absolutely blown away when we arrived and this was our home away from home for the week. We had a great time playing in the lake! 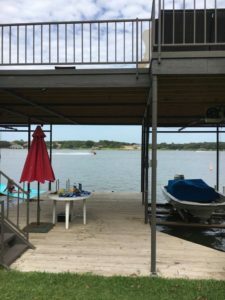 We rode jet skis, swam, kayaked, and really just had a great time! The outside of the house was amazing, but the inside was beautiful as well, and one of the things we enjoyed the most in the house was the Amazon Alexa. I had never used one before and I was amazed at how easy it was to use. Not only could we listen to music, but we could tell Alexa what genre of music we wanted to listen to and she would start playing it. We could even program our phones using Bluetooth and play music we had downloaded to our phones. 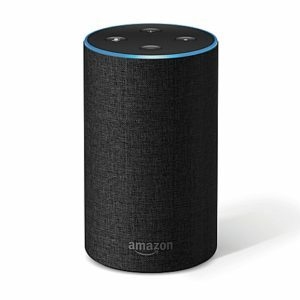 My son was also able to use his spotify account through Alexa using Bluetooth. We thought that was great, because we really wanted to listen to the new Kesha album! I am always amazed at the way programmers are able to embed codes within a device to make it even more useful and smart! 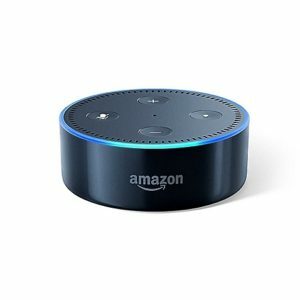 Alexa is smart too, and if you forget what features are available on the Echo, you can simply ask Alexa what features are available and she will tell you in a very polite, lovely voice. Another feature Echo has is it integrates with a number smart devices like lights, and thermostats, among other things, so you can control your lights, the temperature of your home, and even turn on a video recording setup with a simple command. This is an amazing service the Echo provides! There is even an app store for Alexa that is growing quickly with over 25,000 goofy, useful, and intriguing skills that can be voice activated through the Amazon Echo. And for those people who create apps and want to keep up with the analytics of their apps so they can access self-service reporting, there is a company that can provide them incredibly useful ad hoc data reports. In fact, you can deliver ad hoc reporting to your end users right where they need it, inside the daily workflows of your application. And if that wasn’t enough, your Amazon Echo and Alexa integrates with Audible. If you have audiobooks from Audible, you can listen to them on the Echo with simple voice commands. You can even set up a sleep timer in case you fall asleep to a good audiobook. One will go upstairs and one will go downstairs, so no matter where I am in the house I will have a smart, fun, interesting device around that can help me with a myriad of things! Now I am even more excited for Christmas!